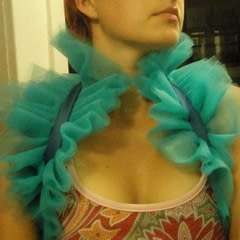 Lace Shrug · A Shrug · Dressmaking on Cut Out + Keep · Creation by Joy K.
This is one of my first creations. 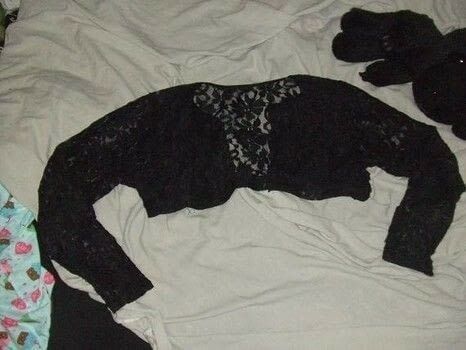 All it took was a lace shirt I found for almost nothing at a thrift store. To make it I just cropped it and then hemmed around the edges. Neato! It's very lovely. I'm dying for a lace shrug (perhaps one with bell sleeves. ^_^).